Now that winter is melting away and the sunshine is returning, we can finally move forward into the new and exciting looks for Spring Fashion 2019. 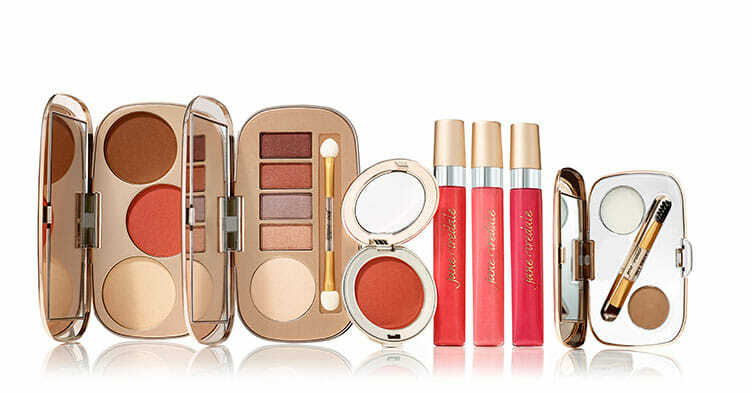 Some of the classic trends with spring makeup includes flowing, dewy skin; matched with bronzed cheeks. This spring’s look has all you can expect from the classics, with and added pop of electric pinks, golds, glitter and metallics! Achieving this look is simple: a great bronzed skin, coupled with a popsicle-stained lip and a beautiful sweep of golden-taupe eyeshadow. 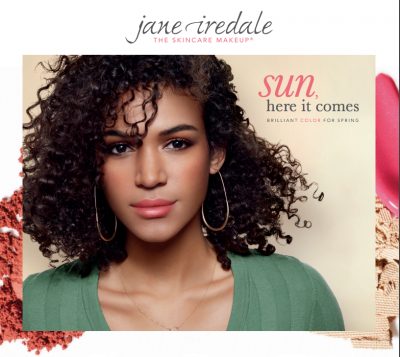 Jane Iredale‘s new Spring 2019 collection, “Sun, Here It Comes” includes all the must haves to create this look and more! A brand new 5 tone metallic shadow palette with a mix of taupes, golden-reds and more, a sunset inspired blush powder and 3 new perfectly pink glosses. If that wasn’t enough, the collection will also include a brand new contour kit for deeper skin tones, as well as the much anticipated “Ash Blonde” Brow Shaping Kit! Be sure to visit us to get your hands on these spring must haves & ask any of our highly trained staff to help you achieve these trendy looks!